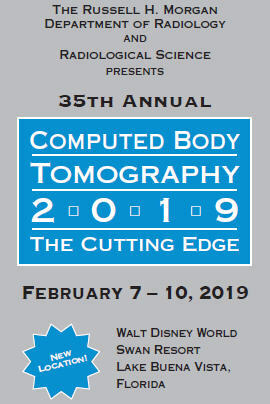 Due to rapid advances in technology, radiologists and radiologic technologists often require a comprehensive review of recent advances in computed body tomography. This activity will focus on multidetector/multislice CT and newer systems including dual-source CT scanners. The schedule offers a series of 40-minute lectures designed to concentrate on specific topics in-depth, including state-of-the-art technology and software. Participants will have the opportunity to expand their knowledge of the latest concepts and principles of helical CT, thoracic CT, cardiac CT and CTA, the uses of CT in the GI tract, the liver, spleen and kidneys, as well as virtual colonoscopy and imaging the oncologic patient. Summarize the latest concepts in the chest and cardiac CT, including coronary artery imaging. Analyze the newest applications of multidetector/multislice CT.
Identify the role of CT in GI pathology, including pancreatic imaging. Recognize the latest concepts in liver and renal imaging. Define the current role of MDCT/CTA in the evaluation of pancreatic and renal tumors. Explain the current role of CT angiography and how to optimize its performance.